Which mood are you — Angel or Devil? No matter which you choose this Valentine’s Day in NYC, you and your partner can have the romantic getaway you were hoping for. 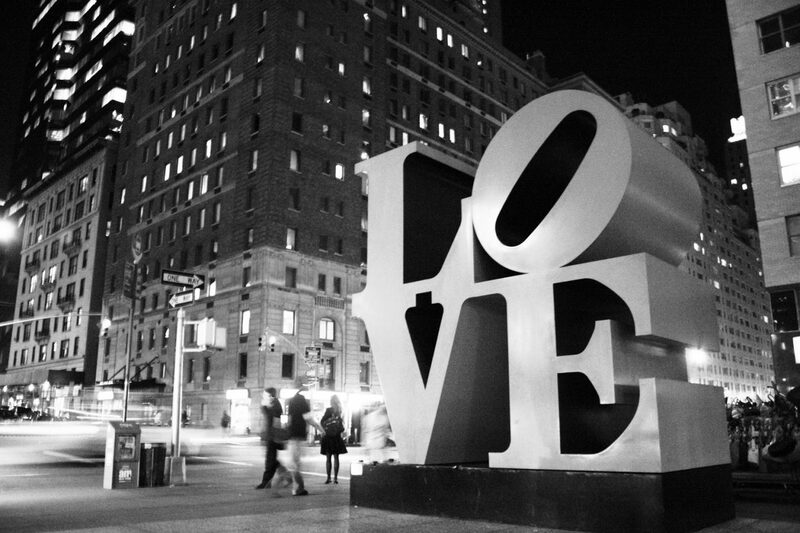 Here’s our definitive guide to spending a romantic day in the city, indulging whatever side of love you choose. Morning: Wake up to a signature juice breakfast from our very own Lexington Brass restaurant, famous for its fresh pressed juices and energizing breakfasts. Then get ready to burn some carbs with your Brick CrossFit couple’s pass, which gives you the opportunity to try out the hottest workout regimen, or any other class you want, at this top-notch gym. The couple that lobs kettleballs together, stays together, right? Afternoon: After a tough workout in a bustling gym, you and your date deserve some alone time — and a chance to sit down. What could be a purer way to relax than a matinee movie? Take advantage of New York’s indie movie theaters (Film Forum and IFC, both in Greenwich Village, are always a good bet) to see something that you can’t see anywhere else. As an added bonus, skipping the crowds at evening movie showings will give you some room to catch your breath — and whatever else you angels get up to. Evening: The last gift for you in our Valentine’s bundle is a custom yoga mat, which may inspire you to soothe and stretch those achy muscles back at your hotel room, or at one of Manhattan’s countless premium yoga studios (check out Iyengar Yoga Institute for some top-tier instructors and ambiance). Afternoon: We know your type, and you want to get straight to the point — instead of waiting for your first morning with us to start the indulgence, after check-in we’ll send you straight to your room with champagne and chocolate-covered strawberries. Take the opportunity to explore all the luxury your hotel has to offer, from the Dean & DeLuca snacks packing your pantry to the plush robes and slippers in the closet, to the Beekman 1802 bath products — we know, you probably won’t be leaving your room much. Evening: You will, however, have to leave the hotel at least once to enjoy your Devil’s Valentine’s Day gift. That’s because you’ll have a $50 gift card to the intimates department at Bergdorf Goodman — but don’t worry, it’s just a couple blocks away. Get there before their 8 o’clock close to select the finest intimate apparel and keep the excitement building with a fine dinner before coming back home for evening cocktails in the Lounge. Morning: Whatever you got up to last night, we’ve got just the thing for your morning — complimentary breakfast in bed. Start the day off right with fresh juice, hearty food, and a perfect cup of coffee. Once you’ve got your wits about you, take a short walk up 5th Ave to Central Park, where you’ll find the Wollman Rink as empty as it gets and just right for you and your partner to skate — and fall, and skate again — to your heart’s content.